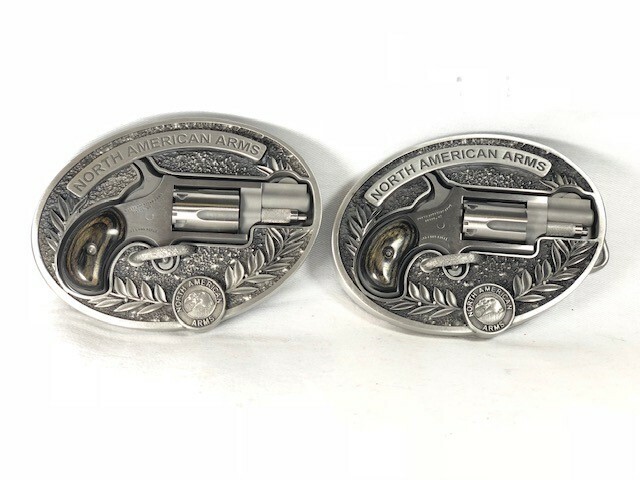 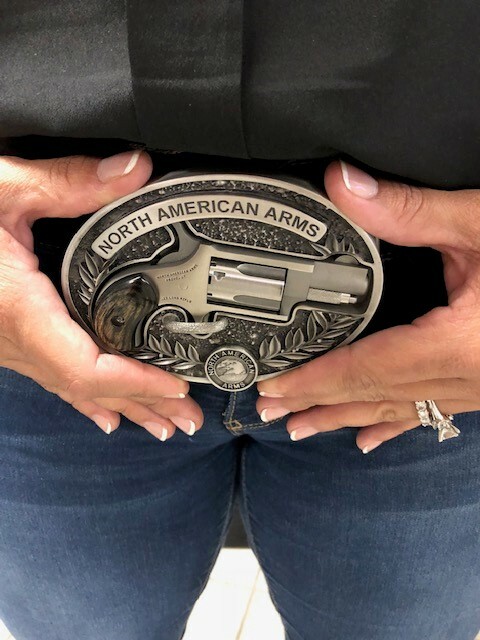 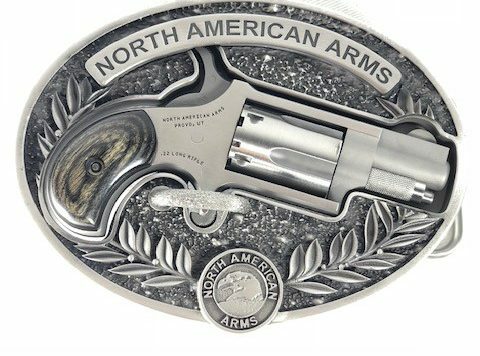 NEW IN BOX, NORTH AMERICAN ARMS, NAA-22, .22LR, 1-1/8″ Barrel with Grey Smoke Laminate Grips Installed in a North America Arms Oval Belt Buckle. 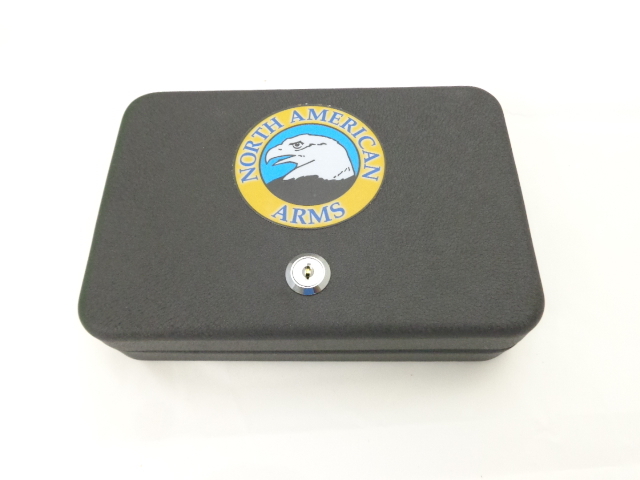 Includes Factory Metal Locking Pistol Case, Manual & Lock. 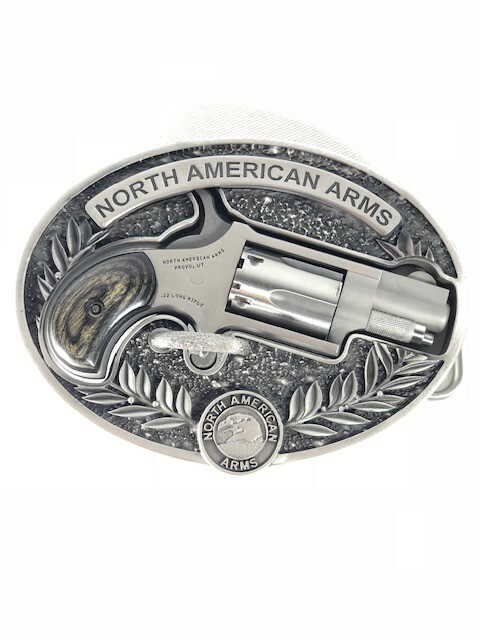 This is a Non-NFA Firearm and no Special Registration is required.